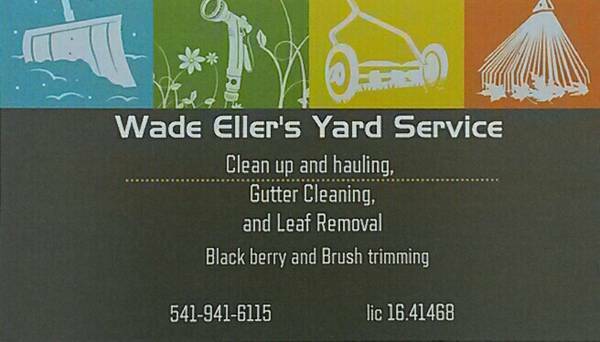 Call to get your yard in shape. And help with ground control. Leaf removal for the fall leaves. I can help get your yard ready too sale. Or just get the place cleaned up.